By this point, everyone and their internet-connected dog seems to know that you can access US Netflix (and its sweet promised land of rich video content) from abroad using a simple VPN, or even just a Chrome extension. 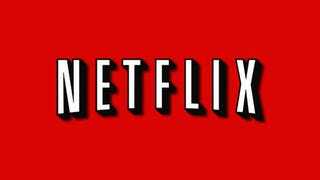 Your streaming days might be limited, however: Netflix is reportedly under fire to shut the loophole down. According to CNET Australia, a group of Aussie rights-holders (the usual suspects: Warner Bros, Universal and the like) are putting pressure on Netflix to cut off access to US Netflix from Australia. Despite Netflix not being available Down Under, an estimated 200,000 people are using the service anyway, something that's probably not making Australian cable providers particularly happy. The problem for the rest of us, though, comes in how this kind of ban would be implemented. Because of the way in which VPNs work, the only way for Netflix to stop people using VPNs to access their services from abroad would be to blacklist all the common VPN providers. Not only would that cut off illicit Netflix streaming from abroad, it would also shut down all the legitimate, US-based customers who just want to use a VPN for their own peace of mind — and quite rightly so. Even worse, while a ban on the most common VPN services would definitely impact on the hundreds of thousands of legitimate users of those servers, it wouldn't fix the problem (if it is a problem) of US content being streamed from Australia. Anyone that desperate enough to watch House of Cards could rent a Virtual Private Server in the US, spend ten minutes setting up free VPN software, and be back streaming in as long as it takes to pop another bag of corn.